Pulmonary hypertension occurs when the blood pressure in the lungs rises far above normal levels. This often occurs because of narrowing of the lung blood vessels, reducing the flow of blood through the lungs. As a result, the heart has to pump harder as it tries to maintain a normal amount of blood flow. Pulmonary hypertension causes shortness of breath, particularly with exertion. In advanced cases, right-sided heart failure can occur, causing more severe shortness of breath and, in some cases, swelling in the legs or abdomen. Other less common but serious causes of pulmonary hypertension include scleroderma and other connective tissue diseases, congenital heart disease, liver disease, and chronic pulmonary emboli (blood clots). In some cases, pulmonary hypertension occurs without any underlying condition. This is referred to as idiopathic pulmonary arterial hypertension (also known as primary pulmonary hypertension). Because there are so many different types of pulmonary hypertension, most patients will need to undergo a series of tests. Once pulmonary hypertension is suspected, echocardiogram is usually the first test performed to estimate the pulmonary arterial pressures. An echocardiogram uses sound waves to take pictures of your heart to see how well it is beating and pumping blood. It also estimates how high the pressures are in the lungs. If your tests indicate significant pulmonary hypertension, we will recommend you undergo a right heart catheterization to confirm the diagnosis. During this test, a thin tube (catheter) is inserted in the neck or groin. The catheter is then used to measure the blood pressure in the lungs and heart and to measure how much blood the heart is pumping. Based on these results, a treatment plan can usually be identified. The right treatment depends on which type of pulmonary hypertension you have. Some conditions are best treated by focusing on the underlying condition, while others require pulmonary hypertension-specific treatment. There are 14 different approved medical therapies for pulmonary hypertension. Eight are available as pills, the remaining six are either inhaled or given through a catheter that is inserted under the skin or into a blood vessel. Close monitoring is required even with the pill medications because of the seriousness of the condition and because several medications require monthly laboratory monitoring. Since there is no medical cure for pulmonary hypertension, the search for the cure is important and ongoing. UT Southwestern has been in the forefront of research participating in dozens of multicenter clinical trials trying to find a cure to this disease. This is the largest effort in North Texas to help patients suffering of this disease. Patients who want to participate in clinical trials are offered the opportunity to be part of this quest for the cure. UT Southwestern Medical Center’s Pulmonary Hypertension Program is now accredited as a Center of Comprehensive Care through the Pulmonary Hypertension Care Centers (PHCC) program. UT Southwestern Medical Center’s Pulmonary Hypertension Program is now accredited as a Center of Comprehensive Care through the Pulmonary Hypertension Care Centers (PHCC) program. This effort, initiated and managed by the Pulmonary Hypertension Association and its Scientific Leadership Council, seeks to improve the quality of care and ultimately the health outcomes of patients with pulmonary hypertension, specifically pulmonary arterial hypertension. 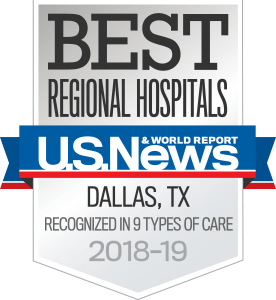 UT Southwestern is the only accredited PH Care Center in Texas. 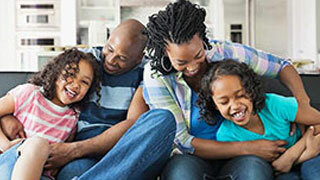 The program seeks to advance the overall quality of care and ultimately improve outcomes of patients with pulmonary hypertension, specifically pulmonary arterial hypertension – a rare and debilitating disease of the lungs that affects the functioning of the heart and can lead to right heart failure. Being a PHCC patient ensures that your health is managed by highly trained and specialized physicians and allied health professionals who have demonstrated a dedication to both the proper clinical management and the larger pulmonary hypertension scientific community. The accreditation also signifies that UT Southwestern has met the rigorous standards of PHCC criteria. Our pulmonary hypertension specialists have extensive experience in treating pulmonary hypertension, including the full range of oral, inhaled, and injection therapies. Our pulmonologists – Fernando Torres, M.D. 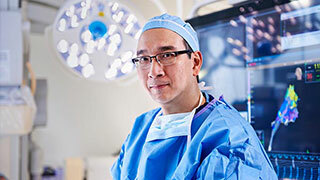 ; Kelly Chin, M.D. ; and Sonja Bartolome, M.D. – lead a multidisciplinary team dedicated to accurately diagnosing and treating patients with pulmonary hypertension. Your team – which may include specialists in cardiology, rheumatology, sleep medicine, cardiovascular and thoracic surgery, and solid-organ transplant – will develop a personalized plan to treat your pulmonary hypertension and improve your quality of life. The pulmonary hypertension team at UT Southwestern is well known nationally for the medical care and clinical research in this field. They are members of the leadership in the most prestigious societies like the Pulmonary Hypertension Association. If surgery is needed, our surgeons are widely recognized as leaders in lung transplantation to treat pulmonary hypertension. UT Southwestern is the only medical center in North Texas that offers NIH- and industry-sponsored pulmonary hypertension clinical trials. Our physicians specialize in managing the most complicated cases of pulmonary hypertension, many with co-morbidities. Our internationally recognized Pulmonary Hypertension Program is the largest referral center in the area by patient volume and ranks among the top 10 largest pulmonary hypertension centers in the country. The patient transport service provides 24-hour direct hospital-to-hospital patient transfers for emergency and complex cases to UT Southwestern facilities. Call 877-645-0911 to arrange a patient transfer – 24 hours a day, 7 days a week. 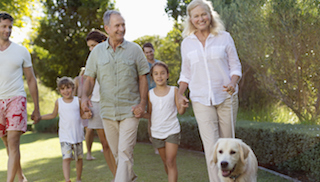 Search for opportunities to participate in a lung disease or asthma research study.